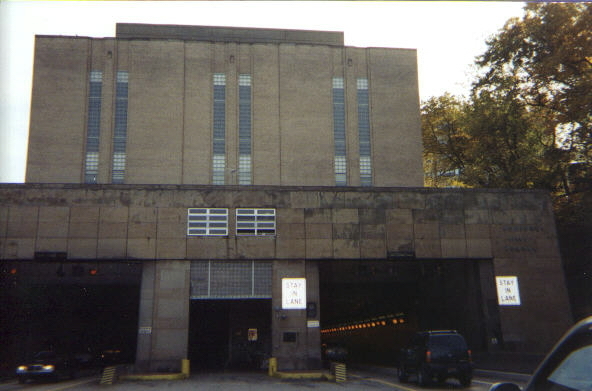 The Squirrel Hill Tunnel was completed on June 5th, 1953 as an alternative to the William Penn and Lincoln highways. This 18 million dollar project was, at the time, the single most costly project by the State Highways Department and since then it has become the principle route for commuters from the eastern suburbs of Pittsburgh to enter the city. 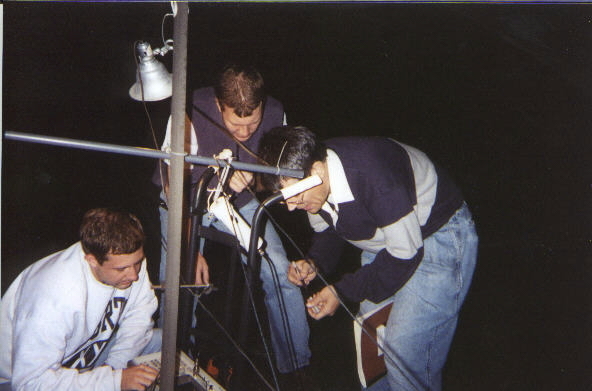 This last summer, a group of 11 college students and a CMU professor of electrical engineering decided to take it upon themselves to solve a long-time nuisance that the city has faced. 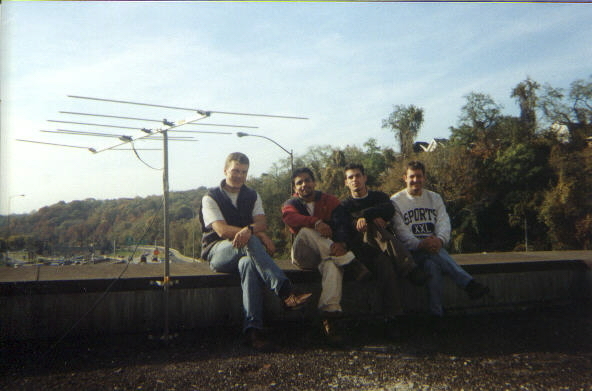 Armed with laboratory instruments, a couple of FM band antennas, and a couple hundred yards of duct tape, the students worked in their spare time and on weekends to devise a system that would provide FM radio coverage to the tens of thousands of commuters to the city daily. 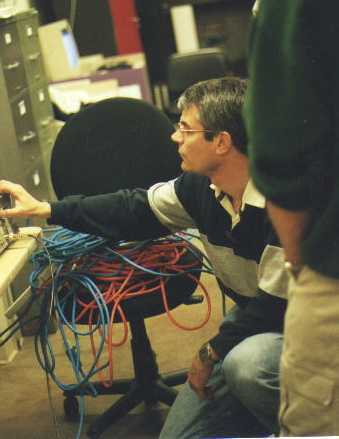 The initial installation was complete on October 21st, 2000. Please visit the updates page for the latest news. 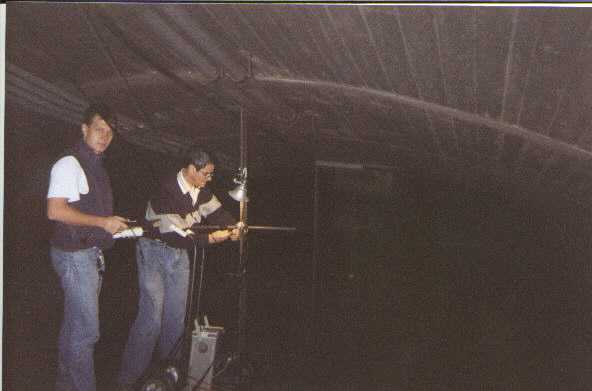 "The air ducts above the tunnel were pretty scary -- it was like straight out of Ghost Busters..."
"Most of the time we worked from 12-3 in the morning. The traffic was lightest then..."
Basically, we are a group of college students and a professor from CMU from a diverse group of colleges who live and work in Pittsburgh and wanted to do something good for the community. 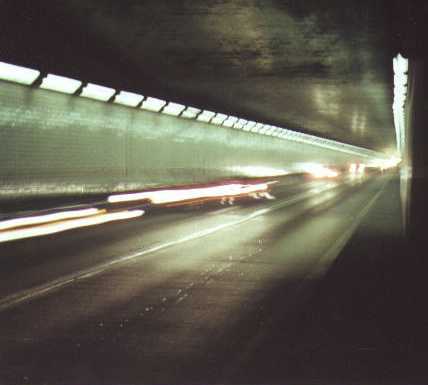 We approached PennDOT and asked them for the opportunity to design radio for the tunnel this summer because as commuters, we were tired of car radio cutting out during rush hour. PennDOT was great and very supportive. 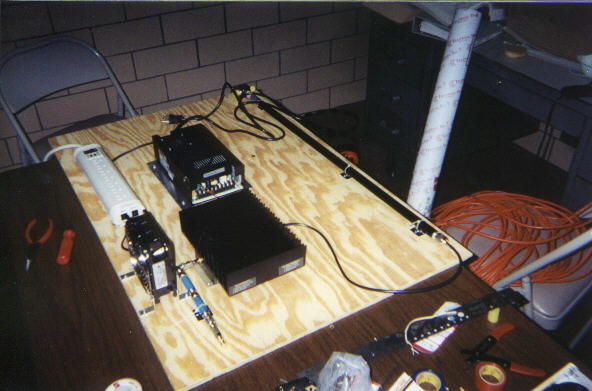 We were given permission, and we worked on it in our spare time. We finally got something to work for minimal cost. 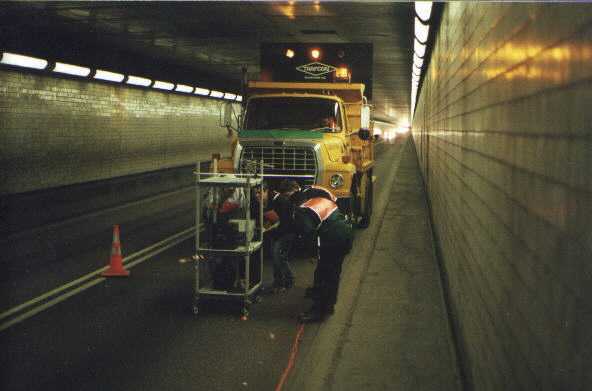 PennDOT then bought the equipment and we installed it for free. 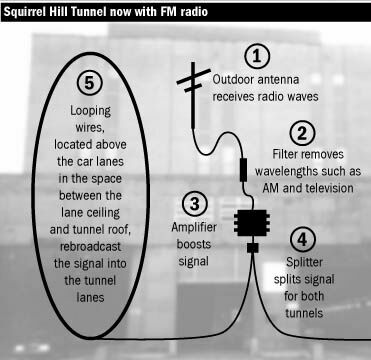 The Squirrel Hill system provides uniform FM coverage throughout the tunnel by capturing radio signals from just outside the tunnel and re-amplifying them through a wire which spans the entire length of the tunnel. The entire system lies within the airducts above the tunnel and is completely invisible to the commuter (except for the recieving antenna on top of the offices on city side of the tunnel).